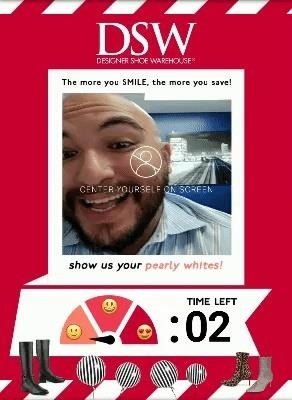 An augmented reality mobile web ad campaign created for the retailer by PadSquad asks customers to smile for the camera. 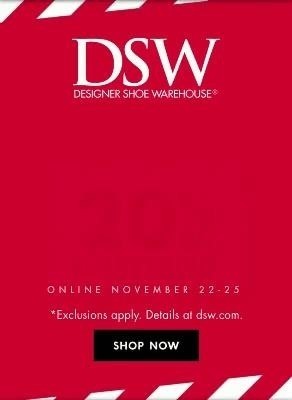 According to a PadSquad spokesperson, as opposed to traditional banner ads and such, the DSW ad will show up in-line in around website content. While scrolling through the content, users can engage with the ad or continue scrolling. Those who do interact with the ad will see a front-facing camera view within the ad (once camera permissions are accepted on a user's iOS or Android device). The ad then uses the smartphone's camera to measure the user's reaction via the app's "smile meter." Users who fill their meter get a 20% off coupon for purchases online, which can be applied to Black Friday and Cyber Monday sales. A system that rewards users for smiling. Why does that sound familiar? Oh yeah...Black Mirror! In the season three episode of the series called "Nosedive," the character Lacey, played by Bryce Dallas Howard, becomes obsessed with her rating in a social media-style smartphone app that enables users to rate others based on their shared content and interactions. The fictitious app also provides several augmented reality features, as it can identify people with facial recognition and display the overall rating and social profile of others overlaid on the user's field of view. The facial recognition feature also displays the person's social rating when they smile in front of a camera-enabled mirror. Amusingly, It's Always Sunny in Philadelphia also tackles the people-rating premise (sans AR app) with its episode "The Gang Group Dates," where Dennis becomes similarly obsessed with being rated a "five-star man" in a dating app. In both shows, the social ratings have implications on user's social standing. On Sunny, poor ratings impact the user's dating prospects, but on Black Mirror, ratings affect not only social standing but also a person's access to jobs, housing, and even airline flights. Running from Nov. 22 to the 27th, the campaign is not targeting specific sites, rather it will be delivered to users based on demographics that DSW is targeting. So if you're in DSW's target demographic, look out for the ad on sites you frequent. In the meantime, you can try a demo of the experience yourself at this link.